PRIME7 NEWS will present an unflinching one hour special on domestic violence to bring light to the most common violent crime taking place across regional Australia. Presented by Australia’s most respected journalist Ray Martin, DARK SECRETS: AUSTRALIA’S HIDDEN SHAME, will premiere 8.30pm Sunday 28th May exclusively on PRIME7. 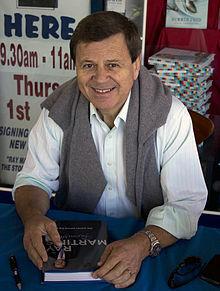 “Domestic violence is something I know about – personally”, said Ray Martin. A PRIME7 NEWS production, DARK SECRETS: AUSTRALIA’S HIDDEN SHAME will bring attention to the courageous and often confronting experiences of those facing domestic violence, and the inspirational community leaders, campaigners, police officers and victims who are not going to sit back and let these crimes continue.